If you’re always on the go, you’ll find that carrying an mp3 player or ipod makes travel a bit less tedious. Your music player holds the soundtrack to your life. The songs you choose should fit every mood you experience and everything you encounter during your day. It is beneficial to open your ears to different kinds of music when filling up your music player so you can have a variety of music styles to reflect your mood throughout the day. You might one upbeat music in the morning to wake you up and relaxing music in the evening. An interesting aspect of any music player, especially the iPod, is the shuffle button. If you’re a person who doesn’t stick to one genre, this can be fun to try, especially if you’re doing some activity that would involve you using your iPod for a long period of time. Personally, I like to do this when I’m on the train. It’s funny to feel your own mood change with every song that comes on when your iPod is on shuffle. I like when my ipod goes from something slow like Death Cab for Cutie to something really fast and loud like ‘Walk this Way’ by Aerosmith. When this happens, my mood instantly changes from calm to energetic. Your soundtrack should move with your moods and complement your tastes. Adding music to your day is like when Dorothy went from black and white Kansas, to a world of technicolor. No matter what your taste in music, it’s important to remember that music is there for you. It comforts you after a bad day, provides a soundtrack for the things that go on in your head and carries with it a flood of memories from your past. 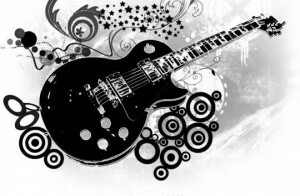 Listening to different genres of music can open your mind to not just different music genres but to all forms of creativity. So open your ears and listen to the music. Music has the amazing ability to seal and trigger memories. Whether they’re good or bad memories, when a song was playing during the making of a memory, that song will forever remind you of that memory. When I was a kid, I would spend most of my days hanging out with my grandma in her tiny apartment. 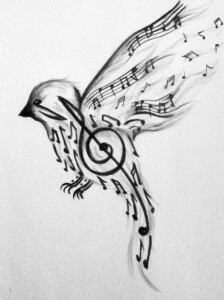 Like me, she is a tiny woman with a huge love for music. I remember sitting with her in the living room and sifting through her old vinyl records, watching her smile with delight when she found the record she was in the mood to listen to. 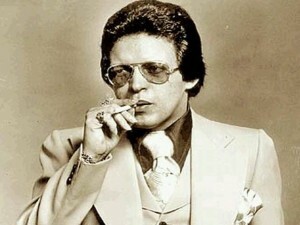 Those of you of with Latino descent have probably heard of “Hector Lavoe and the Fania All Stars”. For those of you who haven’t, these guys were the Aerosmith and David Bowie of salsa music during the 1970s and 1908s- and my grandma loved them. When the film El Cantante (starring Jennifer Lopez and her already ex-husband Marc Anthony) came out a few years ago, of course I checked it out. Being that it is a film about the life of Lavoe, it was filled with scenes in which his music was performed. As soon as I heard the songs, memories of those afternoons with my grandma instantly came back. Many other moments in my life have been accompanied by music but I especially love these memories with my grandma because it possibly explains where I get my love for music. My grandfather suffers from dementia that is rapidly progressing to the later stages at an alarming rate. He’s already forgetting faces and names but one thing that I have noticed is that although he might be forgetting who we are sometimes, he doesn’t forget his favorite songs. When he hears them, which are usually old salsa songs, he instantly comes back and is his old self again, even if it’s just for a couple of minutes. Music and memory is a popular research topic amongst those who study and work with Alzheimer’s and dementia patients. An organization called Music and Memory works to provide those with special needs, in particular Alzheimer’s and dementia patients, get access to music players. The organization accepts monetary donations in order to purchase iPods for these patients. Their mission is as follows: “…to improve the quality of life for the elderly and infirm through the use of personalized music and digital technology.” This organization was created based on the studies done on these patients proving that music helped to improve their cognitive skills and trigger memory, just in the way I noticed it helped my grandfather. 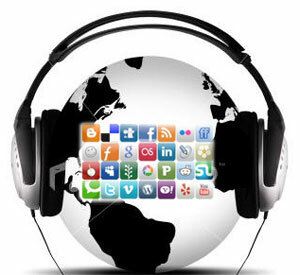 Social media sites are another great way to discover new music. It’s also a great platform for artists to get recognized and develop their fan base. 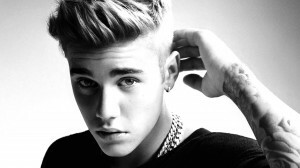 One of the best examples of social media serving this two fold purpose is Justin Bieber. All that kid had to do was post videos of himself on Youtube and he got picked up by a record label. Now, whether you like it or not, you can’t walk into a store without seeing his face on some kind of merchandise. 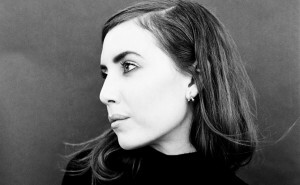 Another example of fans connecting to and creating a fan base for a new artist is Swedish musician Lykke Li. Some of you might have never heard of her but may know her as “the girl who did that one song with Drake” or “the girl who did that one song with Kanye West.” And for those of you who don’t know her, listen to any soundtrack from any action movie with a woman as the star from the last year or so and she’ll be there. Back to my point, she got her start on Myspace back when social media was still steaming up. She gained such a large fan base that she couldn’t be ignored anymore. She is still relatively unknown but obviously rappers Drake and Kanye West knew her fans were on to something and put her on their tracks. Social media sites have the capacity for an artist to post their music, photos, videos and other content for you, the fans. If you ‘like’ their Facebook pages or follow them on Twitter, you can find out about concert dates or new albums before people who aren’t as social media savvy. Another way to discover new music is a recent development called Spotify. 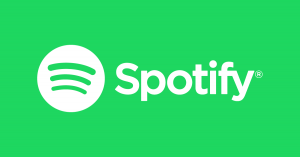 Spotify, like Pandora, allows you to listen to the music you love while giving you the chance to discover new music by being able to listen to playlists that other listeners share with Spotify. The ‘Share’ aspect works with Facebook, Twitter and other sites where your friends and other Spotify users can see your playlists and give them a listen. And unlike Pandora, Spotify allows you to give any given song as many listens as you like and you have an unlimited amount of skips if you don’t like a song that comes on. Another cool aspect about Spotify is that you can ‘queue’ whatever songs you want to hear next- in other words, you can choose the order that the songs in a playlist play because you can see the list of songs on the screen. There isn’t the ‘surprise’ like Pandora because you have the entire playlist in front of you and can automatically spot out what you like. With Spotify, you have the ability to share the songs, albums, artists and playlists you listen to with your Facebook buddies, Twitter followers and friends on Spotify. While on Facebook, you might see in your news feed certain songs that your friends might be listening to on Spotify and if you love music as much as I think you do (you made the conscious decision to read this book about music, right?) then you might get curious and click the link to the song. Spotify is also great because once downloaded, it automatically contains your entire iTunes library and/or Windows Media Player library. It’s just one of the latest developments specifically designed for music lovers.